There are currently no Chatham Chatham, NJ notable alumni listed. Be the first to add an CHS famous alumni. Create a Chatham High School Chatham, NJ memorial for an individual alum that has passed away. There are currently no memorials for Chatham Chatham, NJ alumni. 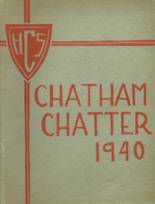 The Chatham alumni site is made so that students and teachers from the Chatham high school can reconnect with those that they met while attending high school. 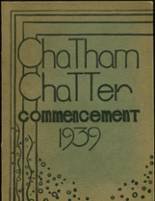 Chatham High School alumni can relive their experiences from high school by sharing memories and pictures, reconnecting with those alumni listed, and more. 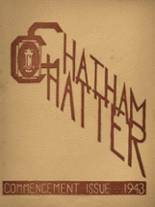 If you are a former student of Chatham in Chatham, New Jersey, register now to add your name. Marjorie Whitehead has someone searching for them. Marcela Mora has someone searching for them. E. Marcela Mora has someone searching for them. Rosemary Boshek has someone searching for them. Ann Whaley Hosted registered as a CHS Class of 1953 alumni. Ann Whaley Hosted added photos to their personal photo gallery. Ann Whaley Hosted updated her profile picture. Lori Patterson updated her profile picture. Lori Patterson registered as a CHS alumni. Lori Patterson added photos to their personal photo gallery. Phyllis Wells Evenden registered as a CHS Class of 1955 alumni. Phyllis Wells Evenden added photos to their personal photo gallery. Phyllis Wells Evenden updated her profile picture. John Drescher registered as a CHS Class of 1984 alumni. John Drescher added photos to their personal photo gallery. John Drescher updated his profile picture. Thomas Bailey registered as a CHS Class of 1966 alumni. Thomas Bailey added photos to their personal photo gallery. Thomas Bailey updated his profile picture.